ÅF has acquired 100 per cent of the shares in DLA-Elteknik in Sandviken thus strengthening service to customers in the steel and manufacturing industries. DLA-Elteknik AB, established in 2001, is an engineering and consultancy company with expertise mainly in control systems, operational systems, process-related IT, and project management. 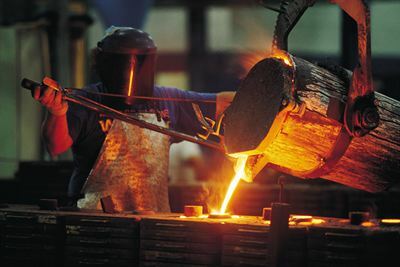 Customers are in the steel, processing, and manufacturing industries. The company, which is totally independent, works with most of the brands on the market for control systems, operational systems, and other automation equipment. The acquisition of DLA-Elteknik, which has a strong brand in the field on the regional market, greatly enhances ÅF’s offer, both brand-wise and operationally. Together with ÅF’s current operations, this acquisition paves the way for supplying services, projects, and turnkey solutions in the region by offering complete mechanical, automation, and process services. Through this acquisition, ÅF gains unique process knowledge from the steel industry where DLA has expertise in section milling, roller levelling, pipe milling, material optimization, positioning, safety solutions, MES/MLS, and more. This acquired expertise in industrial automation forms a cornerstone that will lead to continued strong growth and opportunities for major project commitments. Contact Mikeal Fränckel or Ola Modigs for further information.